Online registration has now closed. If you want to attend this event, please email events@bera.ac.uk for details of how to register onsite. A series of events over two days which aim to develop theoretical work in cultural-historical theory will be hosted by the Manchester Institute of Education and members of the Knowledge, Power and Identity and Social Theories of Learning groups. 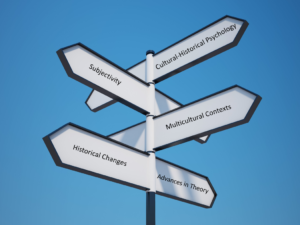 The event is organised in partnership with the North West Doctoral Training Centre (NWDTC) and encourages participation from emerging scholars of cultural-historical theory. Attendance one day is possible. Participants are also invited to informal working groups held on the 11th May from 10:00 to 13:00. To attend these or to arrange a meeting with the guest speakers, please contact sabah.siddiqui@postgrad.manchester.ac.uk. Participants wishing to present a poster are invited to bring an A3 poster to the event. Please indicate in your registration form whether you plan to bring a poster and email a title and abstract of up to 250 words by 27 April 2016 to events@bera.ac.uk. There are a limited amount of bursaries available for this event. Please contact events@bera.ac.uk for details.